in October 2018. The previous corner store at this location was shutdown, with help from TGNCDC, due to violating the conditional use permit that included selling drug paraphernalia, illegal gambling machines, and non complying signage. If you've spent any amount of time along this former farm to city road between Grand and Chippewa, also known as Route 66, you understand the need for more investment, more businesses, more accountability for property owners, safety improvements and beautification efforts. Investing in this stretch of Gravois is specifically called out as a point of emphasis in the TGNCDC framework and vision plan (www.towergrovecdc.org). After investing $1.2 million in residential projects over the last 3 years south of Gravois Ave. in Tower Grove South (http://towergrovecdc.org/tgncdc-purchases-two-long-term-nuisance-properties-related-to-the-labor-day-beating-advances-stabilization-effort-in-south-tower-grove-south/), TGNCDC is setting our sights on Gravois Ave. TGNCDC plans many improvements to the 3800 Gravois Ave. building and we're hoping to secure a facade grant for the exterior storefront rebuild in the next round of funding. We'll also invest our own funds to make the building safe and appealing for potential tenants. While this is a small first step, it's an important one. Many people don't realize the impact of an improved Gravois corridor on the South side of Tower Grove South to the overall stability of area. Some don't even know this is still part of the Tower Grove South neighborhood. 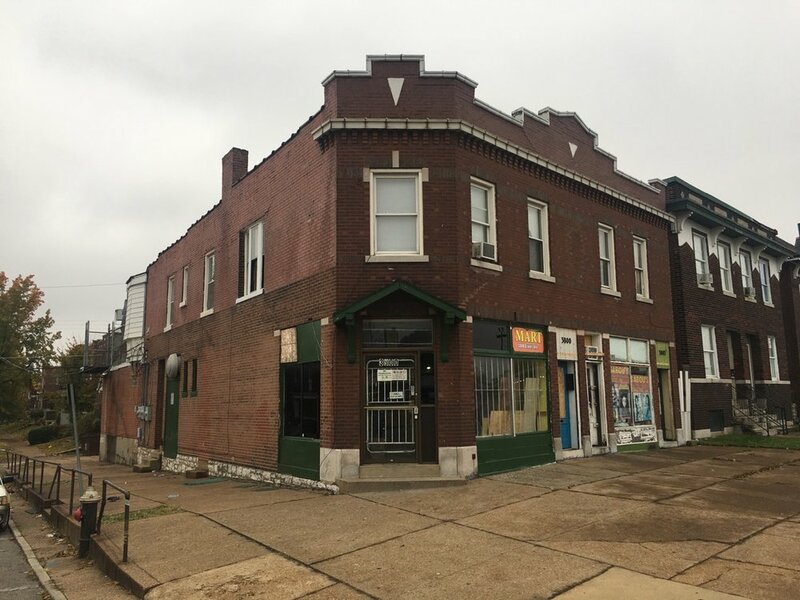 With that said, we still have opportunities to help market and facilitate additional development in the area and with this first investment on Gravois, the future of the historic street may be a little brighter.